Goodness me - what a grand start to the season! I don’t think we’ve seen a spring quite like it for many years with the weather and the plants generally behaving themselves and with gardens coming into wonderful colour so quickly! The birds and the bees certainly have not been slow in making their presence known with activity on the late spring blossom and in the bird boxes. It’s satisfying that Nature really knows how to put on a show and a half! At the Garden Centre we have been busy sourcing new plants and products for you this season with many hours visiting trade shows and plant fairs to bring you the best of what is available, so it’s lets give a big ‘shout out’ to our buyers for their tenacity and engaging work! This season, perhaps more than ever, we are getting lots of requests for plant ideas for smaller plots. Climbers, screening shrubs and long-term colour and fragrance are perhaps the most requested. Please do come and ask for advice in the Plant Info Office as the pallet of plants available this year grows and we can give even more choice to furnish your plot. This year we are inviting local schools to get involved in our Sunflower Competition to grow the largest sunflower head. We are hoping for some super-sized blooms for later in the year when the best will be judged at our Apple & Honey Show Weekend in September. 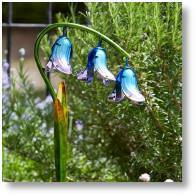 Enjoy your early summer garden - whatever the weather! Great news! 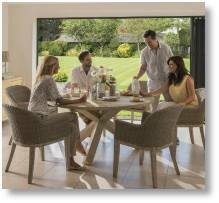 Not one but three exciting ranges of Kettler furniture look set to add stylish seating and dining to the garden this summer. If you are looking for a new dining set then the Cora range blends wood and wicker while glowing white and cream for a bright, elegant summer meal. The set, which features a 150cm Round Dining Table in smoked white acacia wood, and stylish Cora Round Back chairs (sold in pairs) in the same colours, brings a fresh look to alfresco dining. wicker in the Lounge Armchair featuring Acacia legs with waterproof wicker in smoke white (cream cushions are included). A two seater Sofa compliments the Armchair, in the same distinctive style, again cream cushions are included. A crafted 130cm x 74cm Coffee table in Acacia wood in smoked white completes this particularly elegant set. 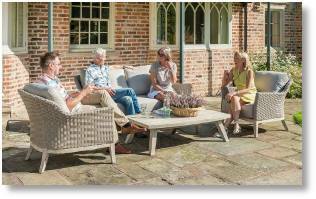 When the Royal Horticultural Society wanted a partner for Garden Furniture there was only one choice - welcome Kettler to the RHS. Their range includes a 4ft Wisley Bench made from high quality FSC certified teak. You can buy the 4ft cushion separately and this features the distinctive RHS logo stitching to help create a stunning traditional look to any garden. The RHS Rosemoor range features high quality acacia wood painted in a sage colour with a PU coating for extra protection with the RHS branding etched into the wood for added style. Available as a 5ft bench you can also buy a 5ft cushion separately which also carries the distinctive RHS logo stitching. Weber are well known for their clever innovation and practical designs when it comes to all things BBQ, consequently the latest development, the new Gourmet BBQ System®, is sheer genius. The Gourmet BBQ System® and accessories work by utilising a multi-functional cooking grate with a removable centre section which accommodates one of the versatile accessories. This allows you to increase your barbecue cooking options to an almost endless degree. Dutch Oven which is shaped like a casserole dish so you can cook tasty stews, chilli con carne and soups; Cast Iron Waffle/Sandwich Insert is perfect for cooking breakfast, lunch or dinner in fact any meal of the day. 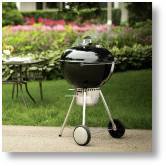 Just a reminder that we also have good availability of Weber’s best-selling charcoal BBQ, the Master-Touch 57cm (£269.99). This is a perfect, practical sized model for the family and it is certainly one of Weber’s most versatile and luxurious models available which feature a porcelain-enamelled bowl and lid making it fully weather proof and easy to clean. 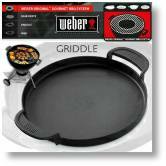 It also features the triple-plated hinged Gourmet BBQ System® cooking grate that fits all the inserts featured above! As we’re chatting about the patio, you’ll notice a wider range of solar lighting this summer in the Shop as we’ve introduced a new brand, Smart Garden Products into the fold. Solar technology is moving on in leaps and bounds now and its exciting what innovations the manufacturers can offer. ook out for the new solar flower designs, which are not only practical they look gorgeous in the day and illuminate beautifully at night. They all feature the latest solar technology and feature hand painted glass together with robust metal construction. You can take your pick from a number of floral designs including Bluebell, Foxglove, White Rose and Poppy. They also make great gardening gifts too - go on treat yourself! If there’s one task that needs to be popped onto the ‘To Do List’ this month then it must be donning the old clothes, grabbing a half decent brush and doing a spot of wood preserving! Yes, it’s repetitive and it often involves a bit of move around and planning but it’s definitely worth the effort in the end, breathing new life into wood by extending its life as well as some welcome colour and vitality into fences and garden structures. Look out for the range of Cuprinol Garden Shades in the Shop as this can add eye-catching colour to your garden structures. Cuprinol Garden Shades has been specially developed to colour and protect sheds, fences and other garden wood. Its special pigments ensure a rich colour and allow the natural texture of the woodgrain to shine through. It can also be applied on terracotta, brick and stone, to bring beautiful colours to the rest of the garden. 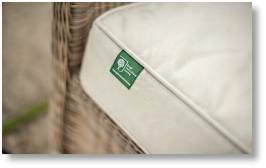 There are plenty of colours to choose from including Country Cream, Wild Thyme and Seagrass. Remember before painting any wood preserve all surfaces should be clean and dry. If it has been previously coated, loose, flaking paint should be stripped back to bare wood. It is always best to apply in dry conditions, above 5 degrees Celsius and when bad weather is not forecast, a minimum of two coats is required for best results. The final colour will vary depending on the surface and number of coats. Always stir thoroughly, before and during use. Brush the product on evenly, along the grain. As we enter the busy seasonal bedding time of the year, there’s always new planter ideas to consider. Our pots area has undergone a move and makeover this spring so there’s plenty of inspirational pots to choose from, including glazed, plain terracotta and the Royal Horticultural Society range, all available in a range of colours and sizes to suit. We have also introduced a range of classic painted planters, available square or as a trough, perfect for that topiary Bay tree, Olive or standard rose or to create a lovely mixed display to brighten up the front door area, paved patio or deck. The planters themselves feature strong mortise and tenon joints, a heavy-duty timber frame and a free pre-formed heavy duty liner is included with each planter. The classic planters are available in two colours – Mushroom and Sage (above) and are well priced at £34.99 each. 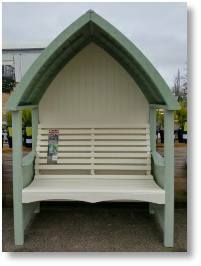 This supplier also produces a robust and elegant classic cottage painted arbour - The Heritage - available in Sage and Cream colours and it would make a show stopping feature in any garden. Well-constructed the arbour features arm rest and drinks holder, contoured seat for extra comfort and is made from sustainable FSC certified timber. It is priced at £475.00. Both the planters and the arbour are handcrafted in Great Britain. Finally, as the popularity of patio display pots and indoor plants grow, so the various methods of accessorising them in various funky and unusual ways increases. 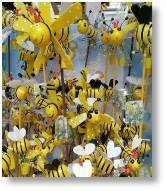 We have a new range of colourful fun comic characters/bees from Cococcinelles® complete with a plastic support for displaying them in and around the garden. These quirky products are great fun and are priced from £2.49 each. The growing season is now in full swing with deliveries coming in almost daily from UK growers so there’s plenty to get excited about. The regular stalwarts of the bedding season – 6, 12 and 24-pack seasonal bedding plants begin with more hardy options including Alyssum, Antirrhinums, Asters, Calendula, Dianthus, Gazania, Lobelia amongst others followed by the less hardy annuals including Petunias, Lobelias, Pelargoniums, Nasturtiums and Marigolds. These would require some horticultural fleece protection in the event of night frosts. We know many of you like the ‘recipe style’ Hanging Basket Kits (10 pack) and Planter Kits (10 pack), both priced at £6.99 each. These kits really do take the guess work out of getting the right mix and balance of colours and offer gorgeous results just a few weeks after planting them up in the container. Do make sure you use a good quality potting compost such as Levington’s Original Potting Compost, £4.99 a bag or 2 for £8.00 to give the young cell-grown plug plants the best possible start. Time-saving Kinderplanter Inserts - available for both hanging baskets and traditional containers are simply one of the best innovative products to have come into the garden centre over the past few years. We know our customers love the convenience of using them and they are perfect for dropping into containers for instant results. They are offered in a variety of colour options, priced at £11.99 each. flush of colour later in the year if you are happy to hang onto the plant. 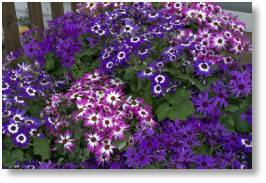 Senetti are available in 2-litre pots, three varieties, £6.99 each or 2 for £12.00. 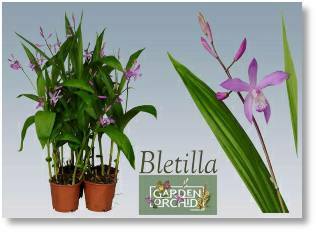 If you are looking for something a little unusual yet hardy then a new range of Bletilla Garden Orchids just might be worth a look! This terrestrial Orchid, sometimes called the Hyacinth Orchid, is available in three colour and requires shade in summer, moisture while growing but cannot stand constant wetness. Where frosts are not severe, Bletilla Striata can be grown outside all year, but need covering with a mulch of composted bark or similar during winter to protect the rhizome. It flowers between June and July, 2-litre pots at £7.99 each. PUZZLE CORNER - UP FOR A SPRING CHALLENGE? Would you like to win a £25 Buckingham Garden Centre Garden Gift Voucher? Enter our crossword competition below. Use the clues to fill in the answers. 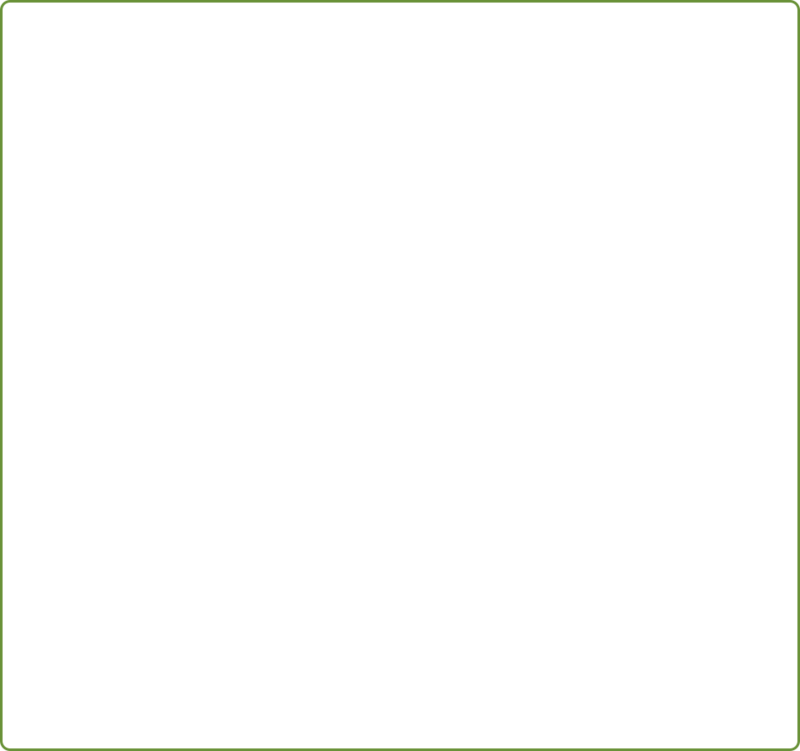 Take the letters from the shaded boxes which form an anagram of a popular variety of Tulip. 7. Useful weed control with clogs on maybe (5,3)? 11. Cornwall is famous for spring displays of which flowering shrub,originally from the Himalayas (13)? 12. You can grow Dahlias from seed or a ______ (5)? 14. Parsley the Lion starred in which children's TV programme (3,5)? 5. A gardener's escape building or somewhere to store (4)? 10. Gardener's Delight' and 'Moneymaker' are popular varieties of (6)? 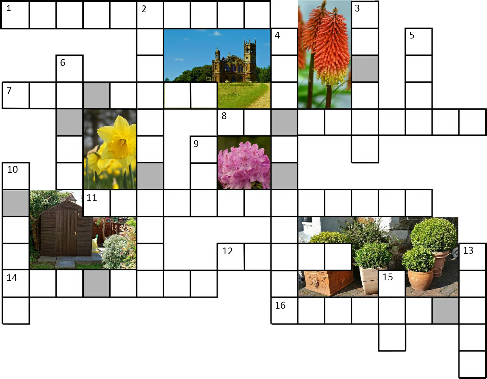 Once you have solved the anagram, send the variety of tulip you have discovered by e-mail to competitions@buckingham-nurseries.co.uk with subject line ‘April Crossword’ or post your entry to April Crossword Competition, Buckingham Garden Centre, Tingewick Road, Buckingham, MK18 4AE. Closing date 31st May 2017. Congratulations to Lorraine Carter of Tingewick who was the winner of the £25 Garden Centre voucher for getting the answer correct. THRIVE is the leading UK charity that uses gardening to bring about positive changes in the lives of people who are living with a disability or ill health, or who are isolated, disadvantaged or vulnerable. Known as social and therapeutic horticulture, it is the process of using plants and gardens to improve physical and mental health, as well as communication and thinking skills. It also uses the garden as a safe and secure place to develop someone’s ability to mix socially and make friends, learn practical skills that will help them to be more independent or study to gain nationally recognized horticultural qualifications that could lead to new employment. 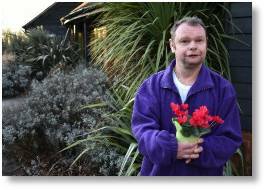 THRIVE’S aim is to enable those touched by disability or ill health to transform their lives using gardening, such as John, who after 15 years of homelessness and social isolation, found the courage to re-join society. As a gifted student studying Music at Cambridge, John’s future looked very positive. But having found it difficult to make friends, after graduation he retreated into himself. Things deteriorated and John became homeless as he withdrew further. Fifteen years on, he was living on the streets and deprived of social contact. With escalating mental health issues he was eventually hospitalised in 1995 with a diagnosis of schizophrenia. Six months later, still struggling to re-adjust to civilised life, he was introduced to THRIVE by a housing support worker. Working in a garden offered John the perfect bridge between street homelessness and reintegration back into the community. You can help us to help THRIVE by purchasing our range of herb plants. We will donate 10p from every sale of 9cm and 1-litre pots of herb plants sold this year. People often think a pond is a totally gardening-free zone, but that is simply not true, writes Chris Day. You still need to do a little weeding and overgrown plants need dividing, just as in a perennial border. The big difference is that everything is under water, which tends to bring problems of its own. So, the first of these rears its head every spring when, instead of crystal-clear water, the pond resembles pea soup. Alarming as it may look, this is due to a seasonal population explosion of tiny single-celled algae. But don’t rush for a bottle of chemicals, it soon sorts itself out naturally. Once the weather warms up enough for water plants to start growing, conditions allow beneficial bacteria and other microorganisms to flourish and the algae die off all on their own. They will drop to the bottom of the pond as sediment into which all your pond plants will root, so they are usefully recycled. New ponds are the most badly affected by ‘pea soup syndrome’ and may not clear until well into summer or even the following year, but older ponds clear more quickly as they have already achieved the right biological balance to sort themselves out. Meanwhile, pond plants are ready for a manicure. It is not until the marginals, such as Zebra Rush, Bogbean and moisture-loving Sedges, start producing new foliage in spring that you’ll notice how tatty they have become. Most of these behave like herbaceous perennials, so their stems and leaves die down over winter. If you didn’t cut them back in autumn do so carefully now, since soft new shoots will soon be growing up through the debris around the edges of the pond. 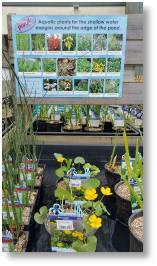 Now is a good time to introduce some newbies - such as Caltha palustris, Mentha aquatica, Iris and Lobelia – but do check our extensive range of marginal, water lilies, ready planted marginal baskets and oxygenating plants available in the raised water beds at the Garden Centre. If some marginals are bursting out of their planting baskets, they’ll need dividing. I’d advise changing into your most grotty gardening clothes before proceeding any further as you will get filthy. Lift out any overcrowded plants, complete with basket and adherent coating of sludge, prise the old plant out and divide it up. Cut it roughly into chunks with a spade if the roots have matted together outside the basket. Choose one strong, healthy, fair-sized piece and replant it in the basket, using a bag of aquatic compost or some garden soil (heavyish clay or clay loam is best – taken from a spot where you haven’t used fertilisers or chemicals, since they’ll pollute the pond). Next, spread a double handful of pebbles or gravel on top of the compost to stop it floating out when the plant goes back into the water, then lower the whole thing carefully back into place. Most congested marginal plants can be divided and repotted now, but the big exceptions are Water Irises and Marsh Marigolds. Wait a few weeks after they have flowered so you don’t lose next year’s blooms. Don’t divide water lilies just yet, either. Their fat tubers rot if they are disturbed too early. If you must divide them, wait until the end of April. If the pond is choked with oxygenating plants, reduce the density by a third and leave a clear track round the edge of the pond for fish to swim in. You may need to repeat this about once a month all summer, but be sure you always leave enough behind to keep manufacturing the pond’s oxygen supply. The other grotty green gunge to look out for is blanket weed, whose long, slimy, cotton wool-like strands can almost choke affected ponds by late spring. 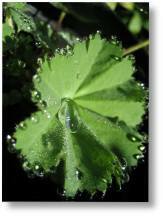 It is a form of algae and needs regular weeding. It usually lives in the middle of the pond, so use a long garden cane to fish it out, poking the tip into the mass and twisting it round – rather like spaghetti on a fork. Please do ask for specific water plant advice at our Aquatic Department where we can also offer technical advice on all aspects of fish management. 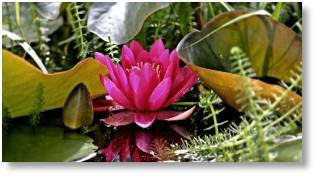 Here are a few products worth considering for your pond and water features this summer. Keep the algae down naturally this summer by adding some Barley Straw to your pond. A bale costs £5.99 and treats up to 1,200 gallons. Another pond menace is the water covering Duckweed, which can be easily treated using Duckweed Buster applied, as directed, to the pond in the early part of the summer. Duckweed Buster is a natural product and it works by preventing the growth of duckweed by modifying the water chemistry and creating conditions which prevent the spread of this problematic plant in your pond. This is a mild chemical and is perfectly safe for your fish, wildlife and plants. Available in two sizes, 250ml £11.99 and 500ml £19.99. 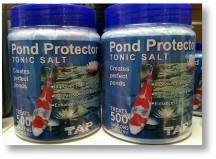 Improve the well-being of both the plant and animal life in your pond by using some Pond Protector Tonic Salt. 150g £7.99 and 500g £11.99. This product contains pH buffers, minerals and acts as a preventative medicine to raise general disease resistance in your fish. It also has the major benefit of helping to lower the stress levels of your fish. Easy to use, simply mix stated amount in a bucket of pond water and pour over your pond surface. 1 capful per 70 Gallons/265 litres. A couple of accessories to consider include the Pondtec Solar Pump with four different fountain heads, available in a couple of flow rates 250 litres per hour (lph) at £69.99 and a larger 600 lph unit at £99.99. This is a convenient way of creating a perfect pond in a location well away from mains electricity. Unlike many solar kits, these two models include a rechargeable battery unit which is charged by the solar panel. This ingenious fountain operates during the day and the pump is powered by the solar module with any surplus power being used for charging the rechargeable battery. After dusk the pump and LED can be programmed to automatically run for 1, 2, 3 or even 4 hours each night as long as the battery has been sufficiently charged. To create ambience to your pond why not consider installing some Pondtec Underwater Spotlights? These are available in sets containing three (£39.99) and six (£69.99) lights. Each light can be submerged underwater down to 1 metre deep or alternatively you can place them above water level or around your pond or even to illuminate a feature such as a statue to brighten it up at night. Does proper gardening terminology put you off gardening, writes Chris Day? Well, late last year a news story grabbed the headlines and created a bit of a stir in the world of gardening. The news story centred on Tim Clapp, who is head buyer at B&Q, and he said that long words (gardening terms) and Latin plant names are putting the Ipad generation off gardening! He even suggested that there were a host of words he would like to ban because they, in his opinion, confused people. 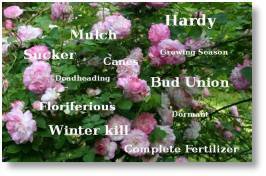 These words include; hardy, deciduous, evergreen, ericaceous, shrubs, perennials, herbaceous, annuals - and even mulch. The Daily Mail even provided a glossary to what these terms mean in their article. However, it does bring up a strong point about the new generation of gardeners. Do they simply want plants that are listed as ‘plant and forget’ and ‘bombproof plants’ – effectively simple solutions to the Ipad generation?! At the Garden Centre we don’t simply over simplify things for the sake of it – the last thing we don’t want to do would be to alienate our customers. The terms listed are pretty descriptive to what they actually are and I think as someone going into growing stuff and working with plant material in developing a garden a basic knowledge of the terms should be part of the learning process, don’t you think? The Ipad generation have access to information technology which helps explain stuff – you only have to look on You Tube to see how this is greatly benefiting gardeners with lots of tutorials to explain many of the processes we gardeners have to do – like planting trees and shrubs, sowings seeds, taking specific types of cuttings, applying a mulch, performing a graft, etc. This free resource is available for everyone to tap into and with information at your fingertips learning about gardening in all its principles has never been more accessible and straightforward. We are more than happy to explain any of the terminology to our customers, its part of the job of the retailer. 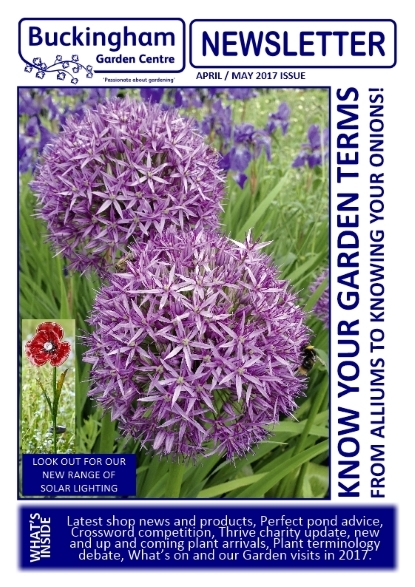 We do have a keen and refreshingly younger customer entering the home ownership and first garden scenario so this is where we do need to take the time to explain those garden terms which may crop up in conversation. What is amazing is how this Ipad generation bring their smart phones and tablets into us with photos of their garden, pictures showing awkward areas where plants will not grow and ideas are needed, plant identifications as well as close-ups of poorly plants too large to bring back to the Garden Centre for us to offer advice on. One of the newspaper reports also suggests that declining home ownership is hitting gardening. This is due to a greater number of people renting properties. ‘Don’t want to leave the plants for the landlord’ is the regular cry we hear from our customers and the best plan of action is to grow everything in containers and baskets which can be simply moved on with you. So, what do you think? Should the gardening industry ‘dumb down’ gardening or do you think we need to make gardening more accessible to everyone? We’d love to hear your comments. Pop your comments to chris@hedging.co.uk or you can message us on our Facebook page. EVERY SUNDAY Stock up on your fresh fruits and vegetables as Aston Clinton-based Lance Smith joins us between 10am and 4pm. You can also purchase fresh meat and poultry as Crawley’s Family Butchers from Brickhill will be in the Car Park. 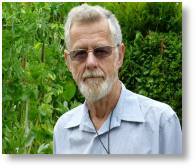 WEDNESDAY 10th MAY Composting With Worms with recycling expert Rod Weston. Rod will cover the types and care of wormeries, worm compost and making liquid feeds from the compost and liquids from worms. All our talks are in the Talks Room in the Restaurant, at 4pm, and will last approximately 45 minutes with time for questions afterwards. To book a seat contact our Customer Service Desk on 01280 822133. Garden Club Members free, £3 for non-members. Self drive: Steane Park Thursday 25th May, 2pm. £4.50 entry, refreshments extra. Must be booked through Garden Centre, payable on the day at the venue. More information HERE. National Trust Biddulph Grange Garden Tuesday 13th June BGC Members £48, Non Members £53.  National Trust /BGC Members £41 NT /BGC Non Members £46. More information HERE. Kew Gardens Richmond on Thursday 20th July. BGC Members £50.00, Non Members £55.00. More information HERE. RHS Hyde Hall & Flower Show on Thursday 3rd August BGC Members £43, Non Members £48. RHS /BGC Members £36.00. RHS /BGC Non Members £41.00. More information HERE. 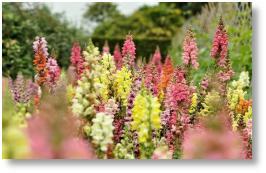 Batsford Arboretum & Bourton House Garden Thursday 12th October BGC Members £48.00, Non Members £53.00. More information HERE. Buckingham Palace State Rooms & Garden Tour We are currently awaiting a release date for this visit. BGC Members £58.00, Non Members £63.00. SATURDAY 23rd & SUNDAY 24th SEPTEMBER Apple and Honey Show Weekend. Top RHS fruit expert Gerry Edwards and Moulton Colleges Fritz De Zutter will be joining us over this celebration weekend of the apple. The Mid-Shire Orchard group will be talking community orchards as well as some apple pressing demonstrations over both days. The local Beekeeping Group will be holding their annual show on the Sunday. Follow us on Facebook for the latest details on all events and garden trips.